The LR4 was the last Land Rover model to get the company's new corporate look. Everything from the old LR2, up to the flagship Range Rover has been given a name change, styling update, or both. The LR4 and LR2 are finally dead, and the Discovery and Discovery Sport have taken their place. 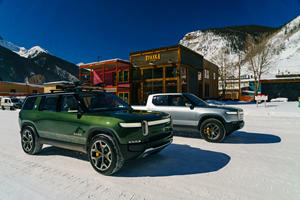 Oddly enough, Land Rover decided to unveil the smaller Discovery Sport first, and now its big brother has finally followed suit. We happen to love both models, but we think they may pose a problem for the brand. The Discovery, and to a lesser extent, the Discovery Sport, actually represent a much better value proposition than anything in the Range Rover line. The Discovery Sport costs $37,695, which is a fair bit less than the similarly sized Range Rover Evoque at $41,800. This isn't that big of a problem though, because we could almost justify paying $4,000 more to get the more prestigious, better looking model. However, the price gap between the Range Rover Sport and the new Discovery could be a lot more significant. The current LR4 starts at $50,400. The Range Rover Sport costs a whopping $64,950, almost $15,000 more for an SUV that isn't that much different anymore. The difference between the Range Rover Sport and the old LR4 was pretty obvious. The LR4 was really just an updated version of the old LR3, which was a pretty old design. The car was still a body-on-frame design, which contributed to its massive 5,655 lbs curb weight. With a 340 horsepower, 5.0-liter V8 hauling around that bulk, the LR4 wasn't exactly frugal. The Range Rover Sport, by comparison, has a new aluminum construction that significantly reduced its weight in the current generation. The old Range Rover Sport was based on the LR4, and was equally as bulky. Even with the aluminum diet, the Range Rover Sport is no feather weight at 4,727 lbs, but you were paying for style. The LR4 lacked the show-off style that you got from the Range Rover. Sure the LR4 was rugged and tough, but how many people actually take their Land Rover off-roading? People would pay more to get the more prestigious Range Rover thanks to its excellent looks and great reputation. Now however, we don't think that appeal is quite as glaring. If you stumbled into a Land Rover showroom and found a rebadged version of the new Discovery, we bet that most people would think that it was a Range Rover of some kind. Now that the Discovery has the same curvy looks as the rest of the lineup, we think that it will attract more price conscious buyers away from the Range Rover line up. 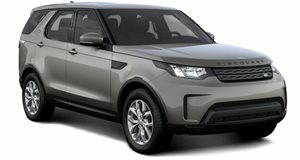 Pricing for the new Discovery has not been announced, but let's assume that it is close to the LR4's $50,000 price. 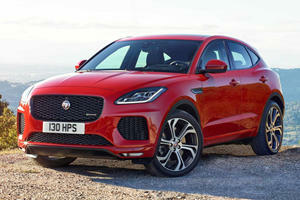 That means that it will cost at least $10,000 less than comparable Range Rover Sport. Like the Range Rover Sport, the Disco will seat seven passengers, and will probably be an even better family car. Land Rover says the Discovery will come with an insane nine USB ports, storage for four iPads, six charging ports, and in-car Wi-Fi. There will also be intelligent folding seats that can be operated with a smartphone and include heating, ventilation and massage functions. If buyers are looking for luxury, the Discovery will have it all. So why buy the Range Rover Sport? Basically, we think that the Discovery will be the ideal Land Rover for people who want to get the best bang for their buck. The Discovery will be oriented towards efficiency with three diesel engines including a 2.0-liter turbo four-cylinder, a twin-turbo version of that, and a 3.0-liter V6. There will also be a 3.0-liter supercharged V6 if you simply don't want a diesel. We really think that Land Rover will have a sale success here. 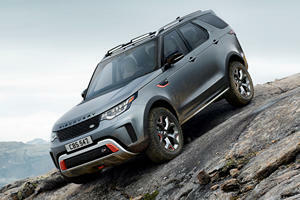 The new Discovery makes us scratch out heads and think, "can a Land Rover really be better than a Range Rover?"